A Croatian professional basketball player who plays in the National Basketball Association (NBA) is named as Ivica Zubac. Currently, he is playing for the Los Angeles Lakers roster as their center. He has played for other teams like Zrinjevac, Cibona, Mega Leks, Los Angeles D-fenders, South Bay Lakers and Los Angeles Lakers. He was selected by the Lakers in the second round of the 2016 NBA draft. He is a very talented player and he plays by wearing shirt number of 40. Luke Walton thinks Ivica Zubac has ‘earned’ right to keep playing for Lakers, even when JaVale McGee returns. Lakers head coach Luke Walton wants to keep Ivica Zubac in the rotation when JaVale McGee comes back, and he has a plan for how to do it. 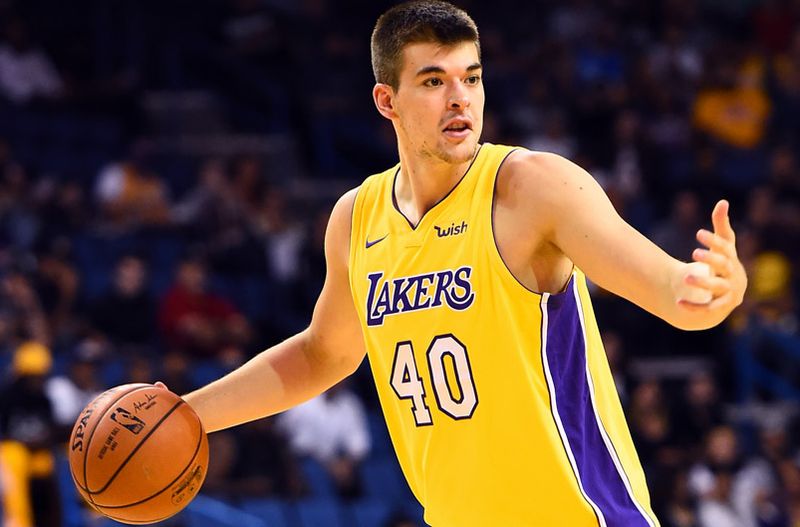 In less than a week, third-year center Ivica Zubac has gone from an end of the bench player to a fringe starter for the Los Angeles Lakers. With Zubac now providing solid minutes, head coach Luke Walton will have to split playing time at the center position between him, Tyson Chandler and JaVale McGee, who is currently recovering from pneumonia. Ivica Zubac, Rajon Rondo Step Up After LeBron James’ Injury In Christmas Day Win Over Warriors. 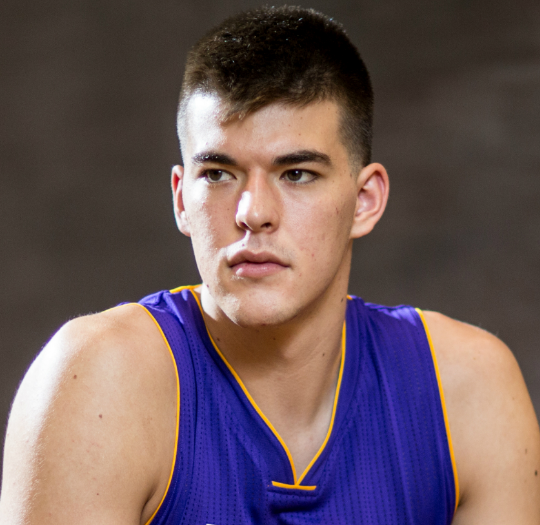 Ivica Zubac was born on 18th March 1997, in Mostar, Bosnia, and Herzegovina. As of 2018, he is 21 years old. His nationality is Croatian. He was born to Ivan Zubac and Dijana Zubac. Talking about his siblings, he has two brothers and two sisters. His horoscope is Pisces. His ethnicity is Croatian. Regarding his education, there are no details. Ivica has got an athletic and muscular body build. He is a very strong person and he has a tall height of 7 feet 1 inch or 2.16 m. He has a very healthy body and balanced weight of 120 Kg. He maintains his body lot. With his charming smile, he attracts a lot of people towards him. He has dark brown hair color and his eye color is black. His other body measurement will be updated very soon. Since 2013, Ivica started playing basketball after joining KK Zrinjevac Zagreb and Cibona. He played in Croatia’s top-tier level A1 group and in the Adriatic League his first year and played FIBA Europe Cup his second year. He left Cibona because of the financial difficulties of the team and signed with Mega Leks of Serbia in February 2016. He was selected by the Los Angeles Lakers in the 2016 NBA draft on 23rd June 2016. On 7th July 2016, he signed a rookie contract with the Lakers and played for the team in the 2016 NBA Summer League. On 2nd November 2016, he made a debut in a winning match against Atlanta Hawks recording 6 points for the team. He recorded a career high of 25 points and 11 rebound in a match against Denver Nuggets on 17th January 2017. On 31st March 2017, he missed most of the matches due to his ankle sprain in his right ankle. During his rookie season, he was assigned multiple times to the Lakers D-League affiliate Los Angeles D-Fenders. He had multiple assignments with the South Bay Lakers, the Lakers' NBA G League affiliate due to limited playing time in the regular season during his 2017-2018 season. The famous basketball player, Ivica's net worth is surely in millions. His net worth is estimated to have $3 Millon as of 2018. He is making an impressive net worth from his career. In 2017/2018 Los Angeles Lakers' Ivica Zubac earned $1,300,000 and about $1,000,000 in 2016/17. He is a very successful person in his personal life as well as in his career life. Ivica is not married yet and he is still to get married. He is currently dating his girlfriend Kristina Prisc. Kristina is a Croatian model. In the year 2015, they met each other. The couple is living a happy life together and there is no sign of separation between them. The couple loves to travel to places and spend time with each other. They are enjoying their life a lot and planning to get married soon. He was selected by the Lakers in the second round of the 2016 NBA draft.